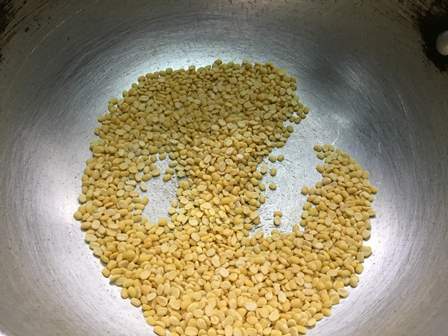 Whenever I cook moong dal based dish, I always dry roast the dal for a minute. Roasting the dals can turn your dish more flavourful. Try to use fresh coconuts as it produces a nice flavour to this gravy. Do not add more garlic cloves and ginger for this gravy as it will change the taste. 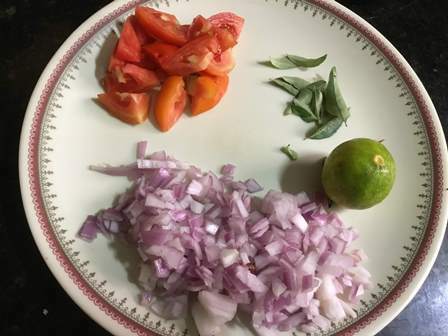 Adjust the green chillies according to your taste buds. The consistency of the gravy is the most important thing in this dish. The consistency may also be affected by your cooking method. 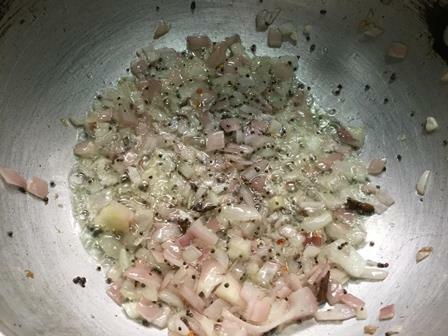 After adding the dals, if you cook for a longer time it will become thicker and it won't taste good. The potato also helps to make a thicker gravy, so do not add more potatoes. 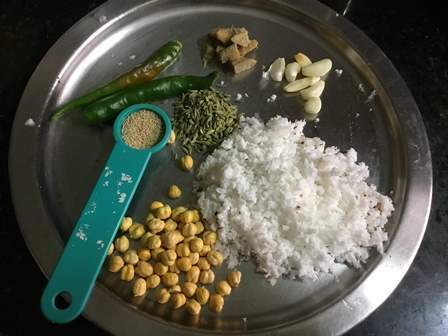 Now let's see the recipe in detail with step by step instructions. 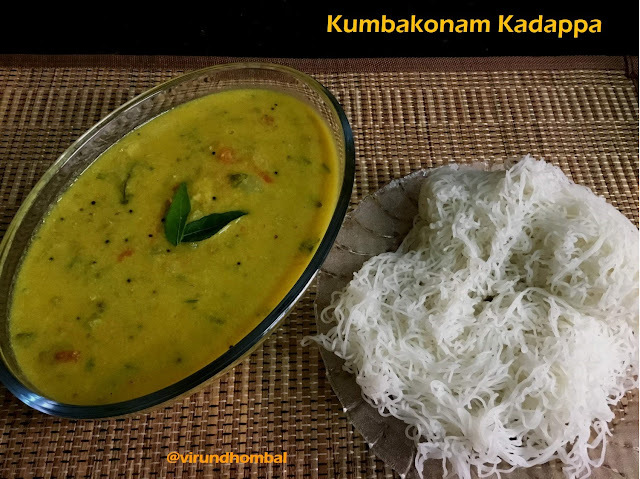 Kumbakonam Kadappa - easy and simple gravy that makes a perfect side to any dish for breakfast or dinner. This gravy is rich and creamy with a perfect balance of flavours. 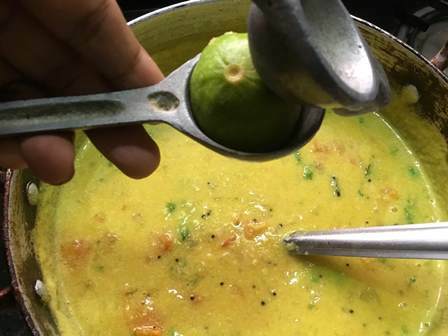 Heat a pan and roast the moong dal for a minute and transfer it to a separate bowl. Wash the moong dal and drain the excess water. 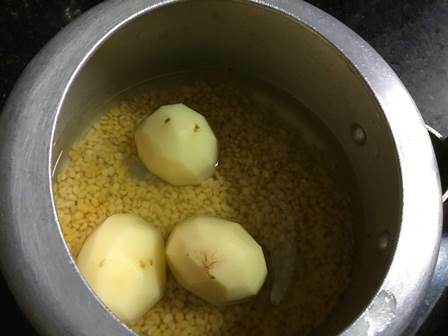 Put the moong dal and potatoes in a pressure cooker. Add 1 cup of water and close it with the lid and pressure cook for 4 whistles. 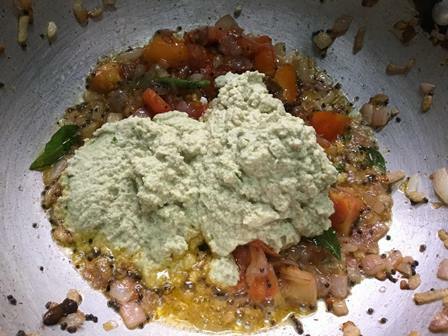 Add the coconut, green chillies, poppy seeds, fennel, garlic and ginger in a small chutney jar and grind into a smooth paste. Heat up a kadai with 2 tbsp oil. 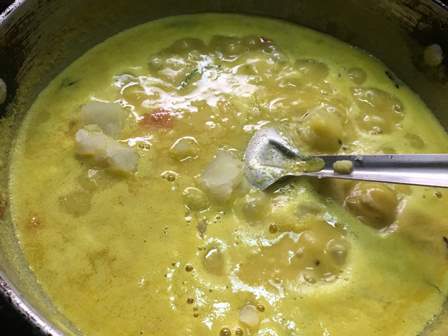 When the oil is heated, add the cinnamon, cloves, mustard and urid dal. Next, add the onions and saute for a few minutes. 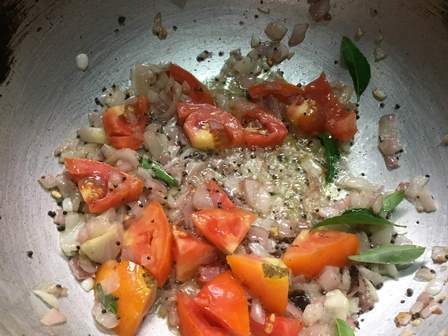 When the onions turn soft, add in the chopped tomatoes and curry leaves. Continue to saute for a few minutes until it turns mushy. 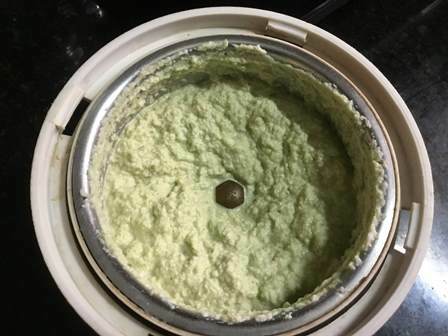 Turn the heat to low and add the ground coconut paste. Stir it continuously for a few minutes. Next, add the cooked moong dal and stir it well. Add the required salt and turmeric powder. Mix them well and let the gravy to boil for 7 minutes. Finally, add the potatoes and stir well. Cook for further 3 minutes and turn off the heat. 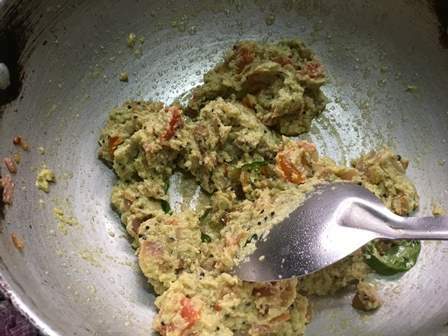 Garnish with coriander leaves and add the lemon juice. Mix them gently and transfer it to the serving dish. 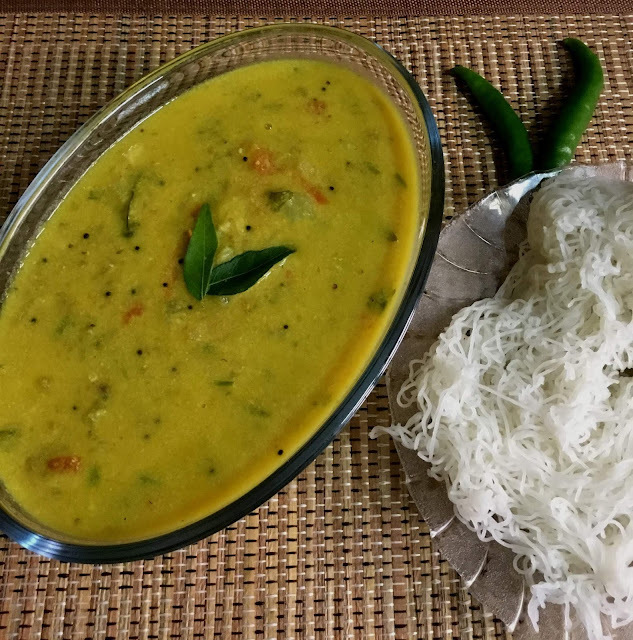 Serve it warm with dosa, idiyappam, poori or chapati. Peel the onions and chop it finely. Wash and cut the tomatoes. Peel the garlic cloves and ginger. Keep it everything ready for grinding. 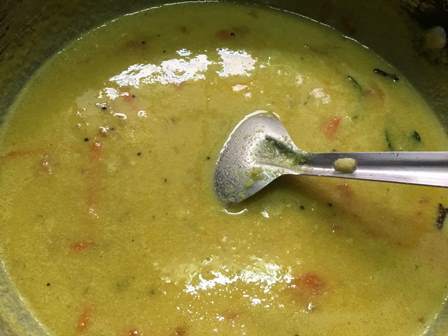 Heat a pan and roast the moong dal for a minute and transfer it to a separate bowl. 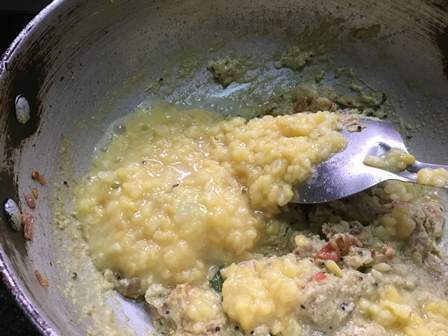 Wash the moong dal and drain the excess water. 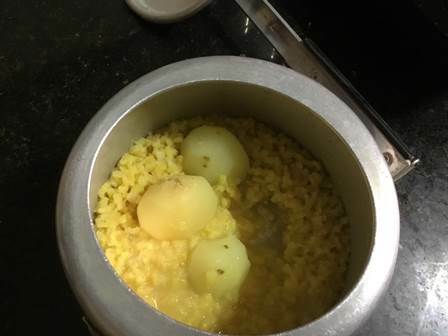 Put the moong dal and potatoes in a pressure cooker. Add 1 cup of water and close it with the lid and pressure cook for 4 whistles. 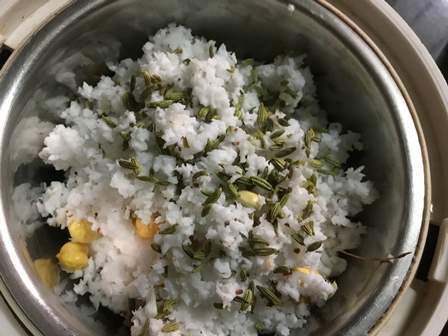 Open the pressure cooker and check the dals are cooked completely. Remove the potatoes from the cooker and smash it slightly. 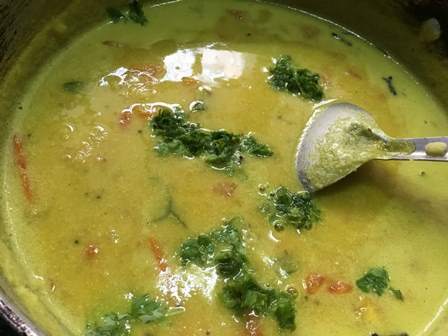 Next, add the cooked moong dal and stir it well. Add 2 cups pf water and add the required salt and turmeric powder. Mix them well and let the gravy to boil for 7 minutes. Finally, add the potatoes and stir well. Cook for further 3 minutes and turn off the heat. Garnish with coriander leaves and add the lemon juice. Mix them gently and transfer it to the serving dish. Serve this Kadappa warm with dosa, idiyappam, poori or chapati.